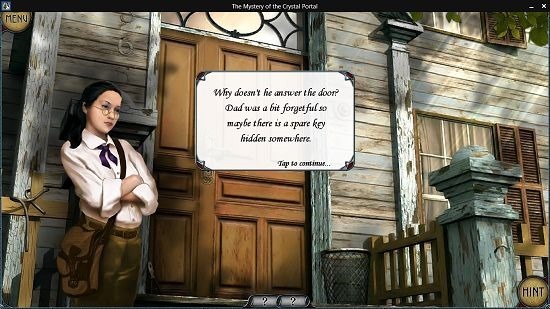 The Mystery Of The Crystal Portal is a great lightweight game app for Windows 8 and 8.1. Unlike all the mystery games that we have previously reviewed, this one particularly stands out due to its light size, and low resource consumption while providing a similar gameplay experience. With a multitude of levels inclusive of puzzles, hidden scenes etc., the game is pretty gripping. A smooth dialog flow takes place which tells you what needs to be done at each point of the game, and the hint button keeps you going in places where you feel stuck, albeit it takes a bit of time to recharge. 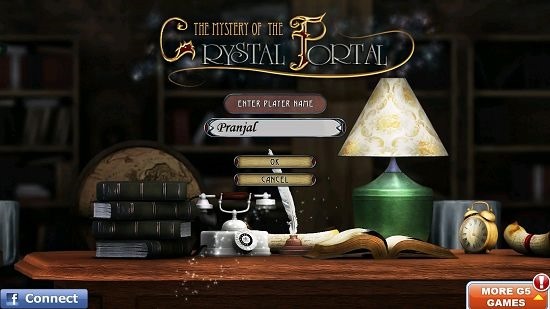 The Mystery Of The Crystal Portal is a free game which can be obtained from under the Games category in the Windows App Store. The game starts off with a screen wherein you can input whatever name with which you wish your player profile to be created. The game supports multiple player profiles, so that’s a plus if there are multiple users of the same device where you stay, and each of them wants to try their hands on the game without interfering with anyone else’s progress in the game. Here, you can see that I have entered my name to successfully create a profile. Press the OK button once that’s done. 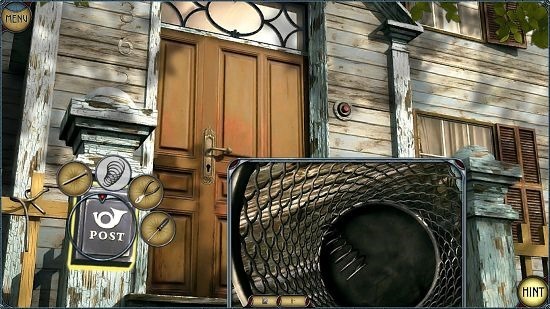 You will now be able to select the difficulty level of the game, following which you will be now able to start the game. Once started, you will be shown a brief introduction movie. This can be skipped by tapping anywhere on the screen and soon enough, you will find yourself in the gameplay environment. In the gameplay, your main protagonist keeps popping up here and there with dialogs that give you a hint as to what needs to be done at a particular stage. You can interact with the objects by clicking on them. Below, you can see me zoomed up close on an area where I felt a particular piece of evidence may have been present. You need to locate the items shown in the circular pattern near the primary object of interest in the scene, in this case being a spring, plier, nail and a screwdriver. These then have to be dragged on the corresponding circles, and the circles turning yellow indicate that the task has been accomplished for that particular item. 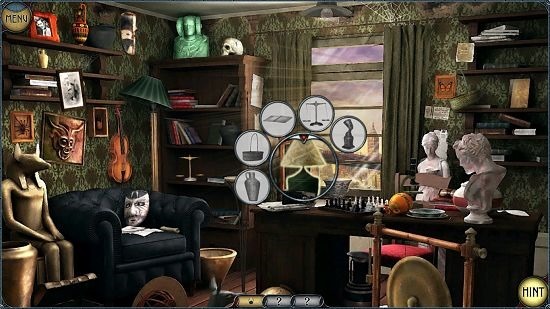 The game is replete with multiple scenes. One of them is shown below. Pausing the game is easy – just press the Esc. key. Hints can be accessed via the namesake button at the bottom right of the screen. The Mystery Of The Crystal Portal is definitely worth a shot if you are a fan of the mystery games genre. The app is pretty lightweight, and performance wise its awesome as it doesn’t consume a lot of resources and doesn’t drain battery. Get The Mystery Of The Crystal Portal.